BlendzZ | BlendzZ | OK Listen! 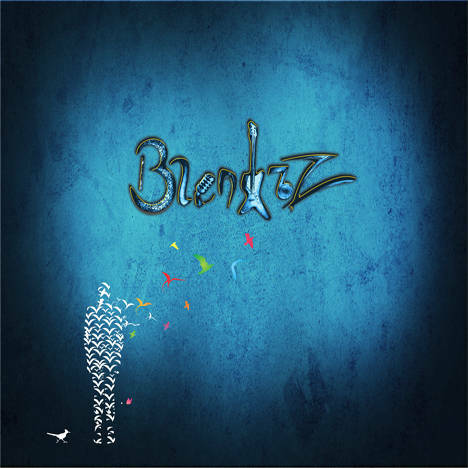 The debut album of BlendzZ, encompassing a wide variety of genre, featuring some of the best musicians in the industry today, released on the 10th January 2015. There are 7 tracks in the album, each different from the other in its treatment. Where there is Hindi folk infused with blues, there is a Kannada rock. Where there is a qawwali, there is a soft acoustic song. Where there is orchestral elaboration, there is a soft ballad. True to the idea of what transpired when the band was started, the sound continues to develop. There is fusion, but wait, not the kind you would expect. There’s an amalgamation of various sounds and yet, there is an effort to hold them together around one idea. We have featured the legendary Bombay Jayashri on vocals, Vid. Suchethan Rangaswamy on vocals, Vid. Amith Nadig on flute and Shankar Shastry on guitar. While on lyrics, we have collaborated with Gaurav Upadhyay, GauRav Chaatak, Yashaswi Manjunath, Nanaiah Bayavanda and Kiran Lingappa.